Your phone's fingerprint scanner is quite literally always at your fingertips -- so why not make it even more useful? It's no exaggeration to say fingerprint scanners have changed the way I use my phone. And now, it looks like that might happen again -- on a whole other level. As it stands, I hardly ever press my phone's power button when I want to unlock it -- because simply touching my finger to the scanner is a faster and easier way to get the job done. This is made doubly true by the fact that the scanner sits on the back of my phone, where my finger naturally falls when I hold it. With Android 7.1 on the Pixel, Google attempts to extend that usefulness beyond mere unlocking: The phone has an option to have its fingerprint scanner double as a trackpad for gestures -- or a gesture, at least. You can swipe down on the fingerprint scanner to open your notification panel anytime and swipe back up to close it. That's a nice idea in theory -- but for me, at least, it isn't terribly useful in practice. First of all, opening the notification panel isn't something I generally need a gesture to do. Even when I'm using my phone single-handedly (ah...so nice to be able to do that again), it's always easy to swipe down from the top of the screen with my thumb. And once the notification panel is open, I'll have to tap around on it in order to accomplish anything, anyway -- whether acting on a notification or swiping one away -- so I might as well have my twitching tentacle ready and waiting on that area of the screen. Beyond that, of course, the feature is Pixel-specific and not available to everyone. But fear not, for there is a better answer. 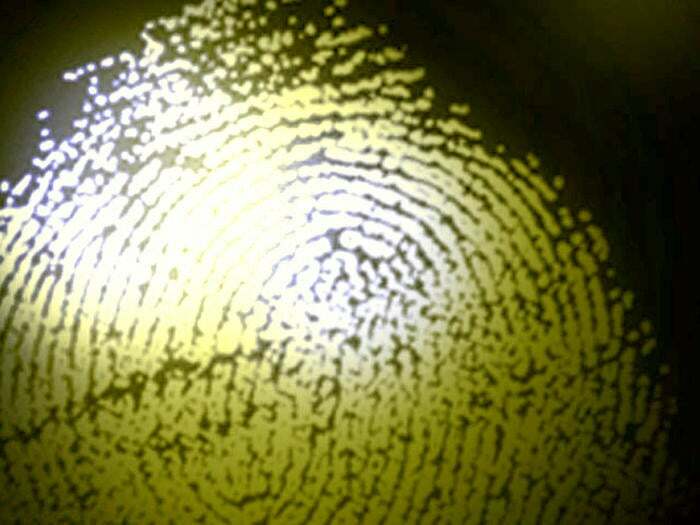 Behold: Fingerprint Gestures. It's a new app that puts extra powers into your phone's fingerprint sensor -- kind of like a magical potion, only less sticky and without the weird aftertaste. Simply install the app, follow the steps to set it up, and decide what you'd like your fingerprint sensor to do once your device is unlocked and in use. You can choose from a variety of options -- everything from opening a specific app to launching a search prompt. You can have your fingerprint scanner stand in for your Back, Home, or Overview key. You can make it act like your phone's power button. You can even create a panel of customizable shortcuts and have that pop up anytime you touch your finger to the scanner in a particular way. That last example gets at the really cool part of this: The possibilities aren't limited only to a single gesture. You can set separate actions for touching your finger to the scanner, double-tapping it, and swiping over it -- giving you three customizable possibilities in all. Me? I've been toying with having a single touch of the scanner act as my Home key and a swipe of the scanner act as Back. Sure, those functions are right there on my screen already -- but particularly when using the phone with a single hand, they're just ever-so-slightly out of my way and tricky to reach. Having them tied into the scanner makes it faster for me to get around without having to do any palm-shifting or advanced finger-yoga routines. If this all sounds pretty great, it should. There's just one caveat: The actions assigned by Fingerprint Gestures don't always work as reliably as you'd think. According to the app's developer, if the sensor doesn't pick up your fingerprint multiple times or another app demands access to the fingerprint sensor at a higher priority level, Fingerprint Gestures loses its ability to control the scanner altogether. And the only way to make it work again is to lock and unlock your phone (in other words, to press the power button and shut the screen off, then start over in a fresh session). That seems to happen a little too frequently, and I'm not entirely sure why. It appears to be more of a result of the way Google makes the fingerprint scanning function available to apps than anything specific to this tool itself, so I'm hopeful the reliability will only improve over time -- but for now, it is absolutely the Achilles' heel of this setup. That aside, there's not much negative I can say. 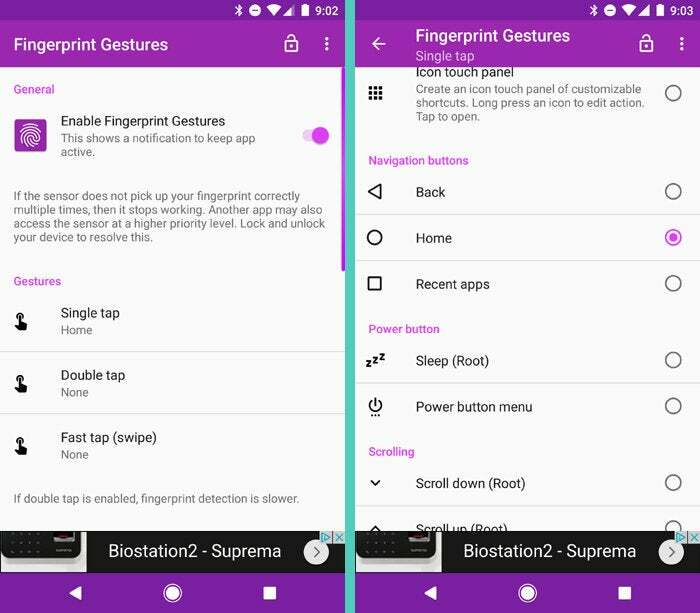 The Fingerprint Gestures app is free to use, with an optional in-app purchase if you want to remove some banner ads from its control panel. It should work on any phone running Android 6.0 or higher. And it won't get in the way of any of your fingerprint scanner's more mundane functions, like authorizing you to get into your banking app or any other fingerprint-protected area. All in all, it's an interesting way to tap into what makes your fingerprint scanner useful and make that a more integral part of your Android experience. As far as I'm concerned, that's a very good thing.